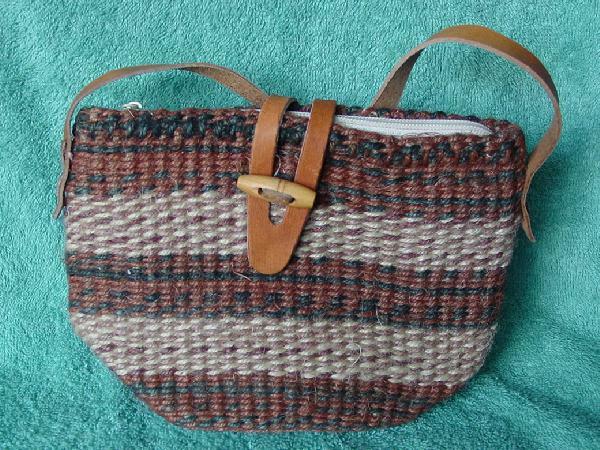 This woven twine purse has horizontal patterns in charcoal gray, light rust, cocoa, and white. It has a top side to side zipper, a wooden toggle, and a center cutout tan flap. 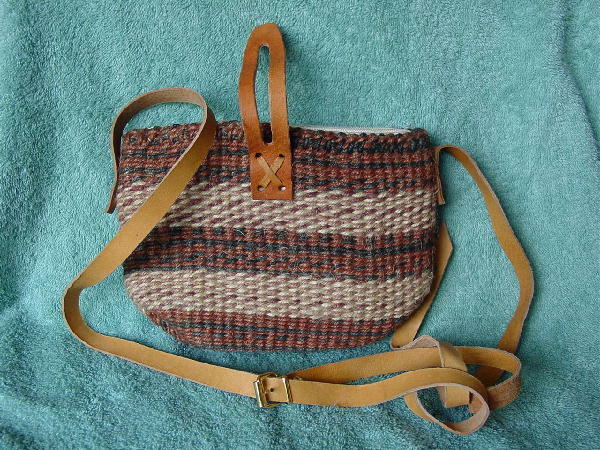 The very long shoulder strap is in a light tan leather. It has one hole in the middle of the long strap, and 3 more near the tip, and a buckle on the short strap. It has a nice offwhite lining with an interior open pocket.